Posted February 6, 2014 by grohling & filed under Archive. 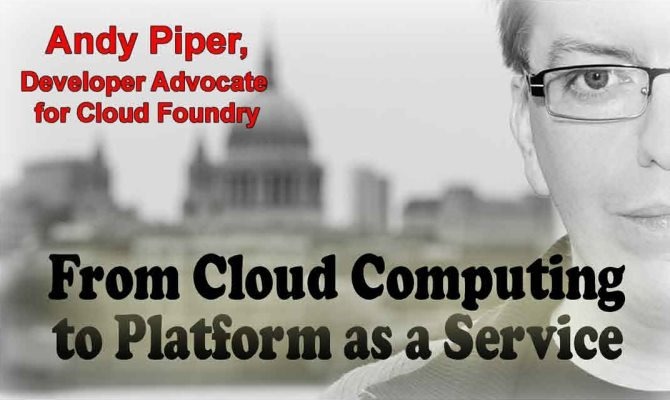 This will explore how the use of cloud computing has grown. Andy has a passionate interest in Open Source, small and mobile devices, cloud, the Internet of Things, Arduino and related technologies. He is probably best known online as a “social bridgebuilder”. He was previously with IBM Software Group for more than 10 years. The meeting is on Thursday 13 February 7.00 for 7.30 and ends around 9.00.